Welcome back, Whoopi Goldberg! After taking a break from ‘The View’ due to a scary bought of pneumonia, the entertainment icon returned to the show while giving an update to her heath — and when she’ll be back full-time! Whoopi Goldberg, 63, hadn’t been seen on The View since Feb. 6, 2019. Since then, the daytime talk show hasn’t felt the same. So to see Whoopi join her fellow View hosts – Joy Behar, 76, Sunny Hostin, 50, Meghan McCain, 34, and Abby Huntsman, 32 – on March 14, the Academy Award-winner was given a hero’s welcome. After Joy teased that Whoopi may be back “next week,” the Oscar award-winner walked out to a thunderous ovation! Megan literally ran to Whoopi’s side to give her the biggest hug. After the applause and screams of joy died down, Whoopi spoke and had good news: she’s coming back! “So, this is my first foray out. I’m not there yet. I know that. The only way it’s going to get better is if I begin, so this is my beginning,” Whoopi said, while coughing. “I still have a cough, but the last thing to go. But, over the next week and a half, I will start to be here more often….I really kind of missed y’all.” So, not only is Whoopi on the mend, but she’s coming back to The View! Pneumonia is no joke, especially to adults 65 and older, as the Mayo Clinic places them in a high-risk group. “For some older adults and people with heart failure or chronic lung problems, pneumonia can quickly become a life-threatening condition.” Thus, Whoopi made sure to take time to fully recover before jumping back in. Whoopi Goldberg has been a part of The View since 2007, joining the daytime talk show during its 11th season. She replaced Rosie O’Donnell as the show’s moderator, joining Joy, Barbara Walters, Elisabeth Hasselback and Sherri Shepherd at the table. 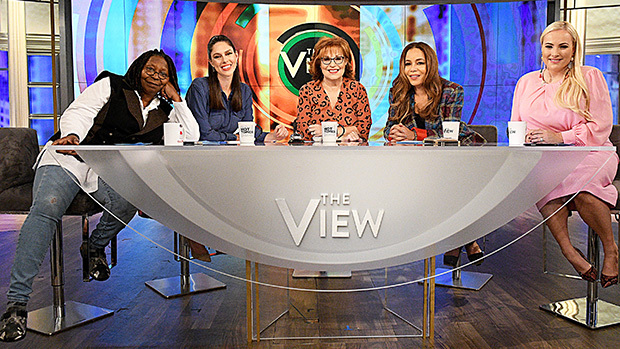 Whoopi has been a constant presence at The View since then, even as Barbara, Elisabeth, and Sherri have all stepped away (even Joy took a break in seasons 17 and 18.) Needless to say, many more will enjoy The View now that Whoopi’s back.